Roll out the costumes and descend into our basement for a midweek Halloween party in our front bar! 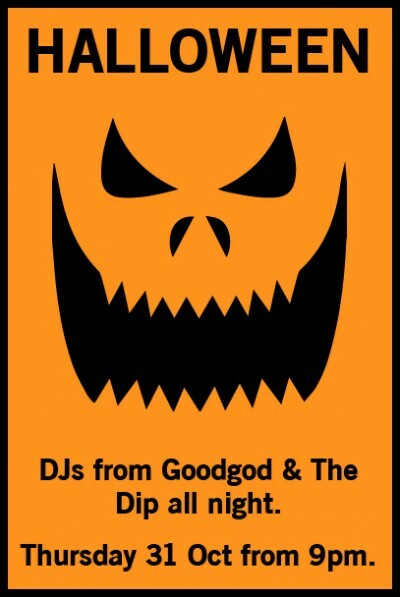 Ring in All Hallow’s Eve as we set staff from Goodgod and The Dip loose on the front bar decks. Expect tricks, treats and tuuuunes from the DJ booth all night, along with specials and surprises from The Dip and the bar. Free all night long.